The bone-patellar tendon-bone has been widely used and considered a good graft source. The quadriceps tendon was introduced as a substitute graft source for bone-patellar tendon-bone. We compared the clinical outcomes of anterior cruciate ligament reconstructions using central quadriceps tendon-patellar bone and bone-patellar tendon-bone autografts. We selected 72 patients who underwent unilateral anterior cruciate ligament reconstruction using bone-patellar tendon-bone between 1994 and 2001 and matched for age and gender with 72 patients who underwent anterior cruciate ligament reconstruction using quadriceps tendon-patellar bone. All patients were followed up for more than 2 years. We assessed anterior laxity, knee function using the Lysholm and International Knee Documentation Committee scores, and quadriceps strength, the means of which were similar in the two groups. More patients (28 or 39%) in the bone-patellar tendon-bone group reported anterior knee pain than in the quadriceps tendon-patellar bone group (six patients or 8.3%). 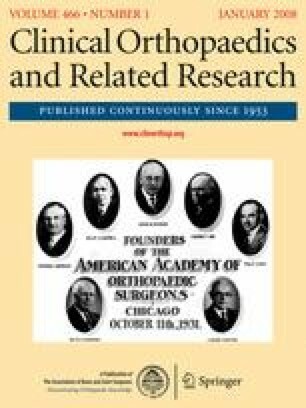 Anterior cruciate ligament reconstruction using the central quadriceps tendon-patellar bone graft showed clinical outcomes comparable to those of anterior cruciate ligament reconstruction using the patellar tendon graft, with anterior knee pain being less frequent in the former. Our data suggest the quadriceps tendon can be a good alternative graft choice. Level of Evidence: Level III Therapeutic study. See the Guidelines for Authors for a complete description of levels of evidence. One of the authors (MCL) has received funding from Seoul National University Hospital (22-2006-002). Each author certifies that his institution has approved the human protocol for this investigation, that all investigations were conducted in conformity with ethical principles of research, and that informed consent was obtained. We thank the Medical Research Collaborating Center at Seoul National University for assistance with the statistical analyses.